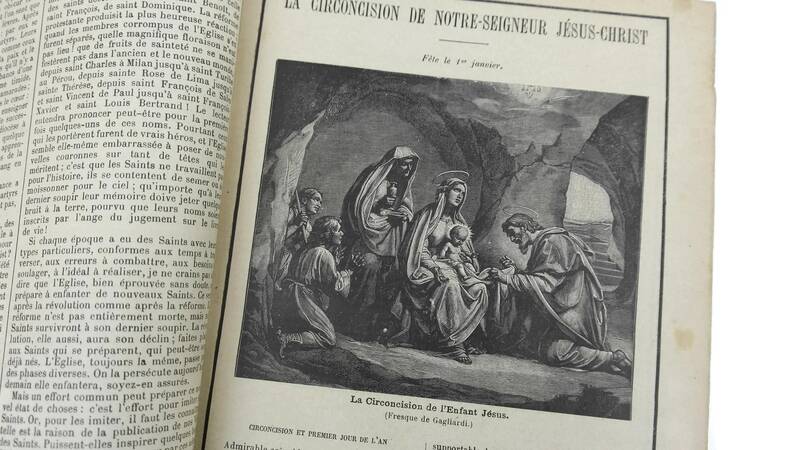 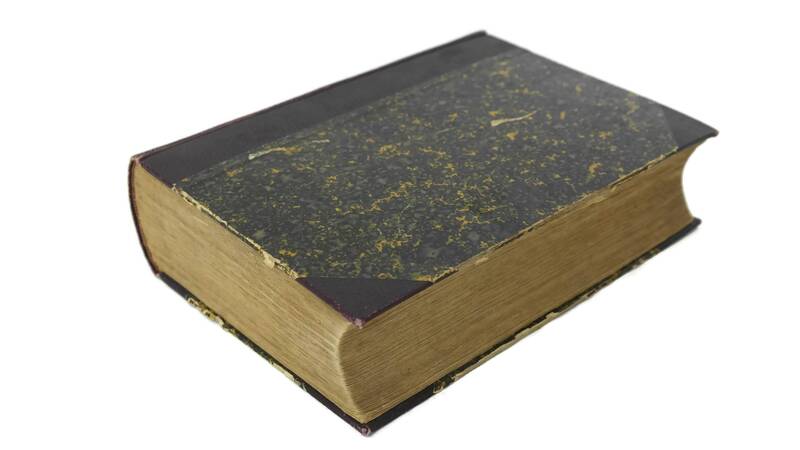 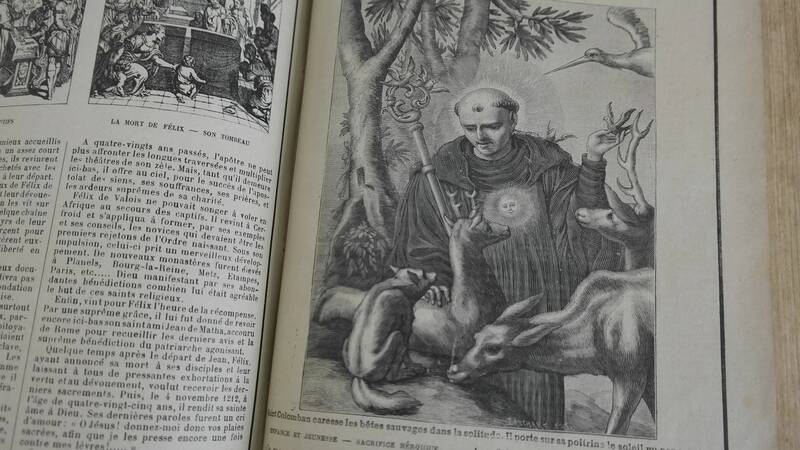 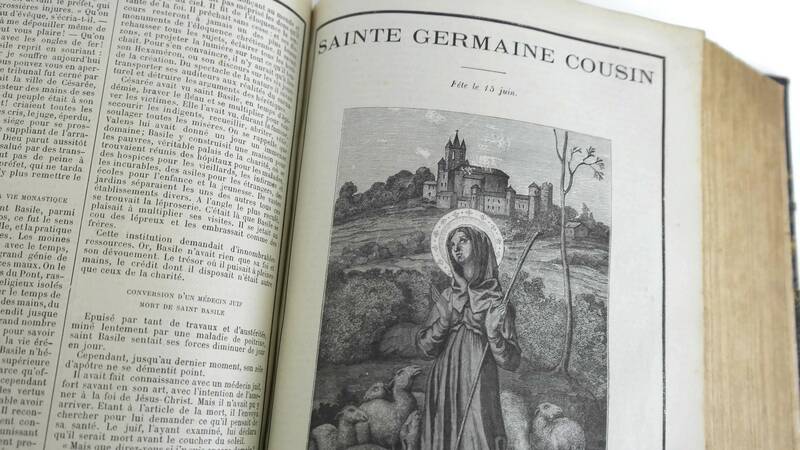 An antique French hardcover book featuring the lives of popular Catholic Saints. 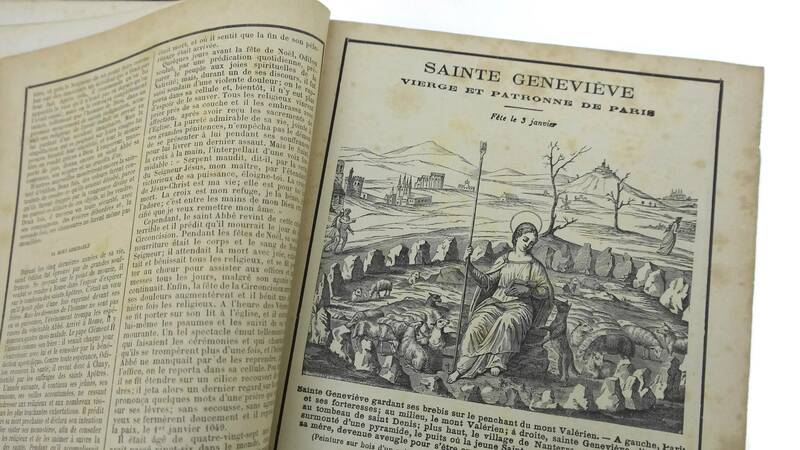 The large book is exquisitely illustrated with engravings and features inspirational biographies of the Saints. 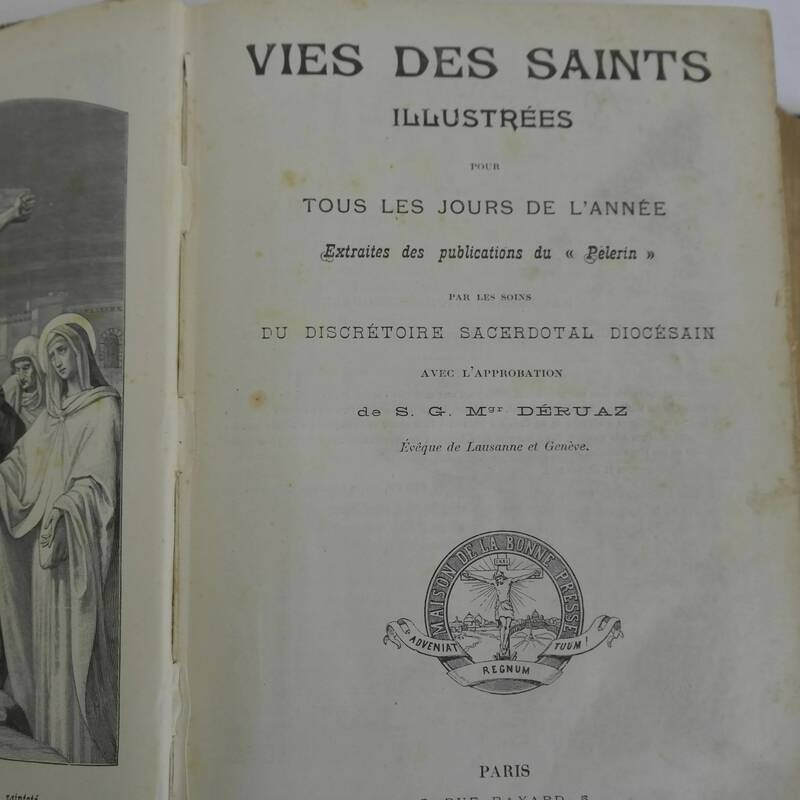 Printed in the French language in the 1800s the rare hagiography book is titled " Vie des Saints - Pour Tous Les Jours de L'Année" and was published by the Christian printers Maison de La Presse. 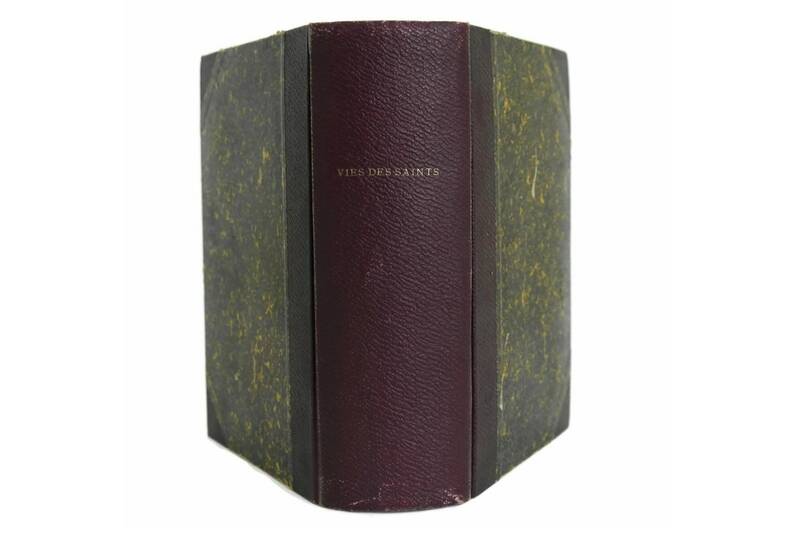 The book's cover features an attractive marbled paper with contrasting burgundy spine and corners. 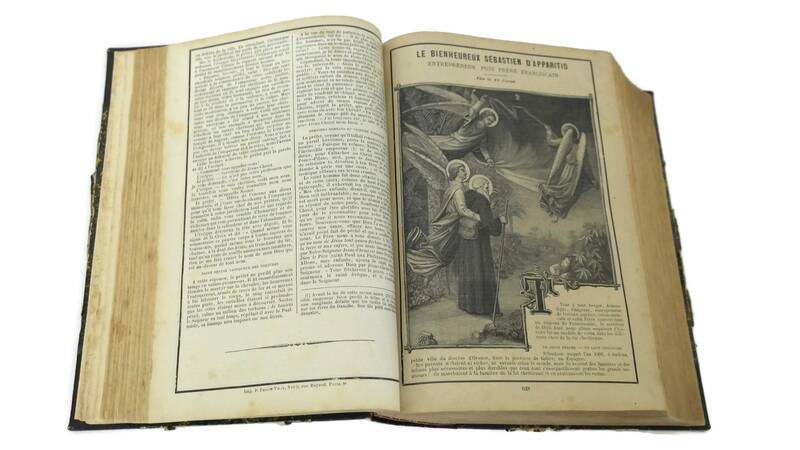 (26 cm x 19 cm x 6,5 cm). 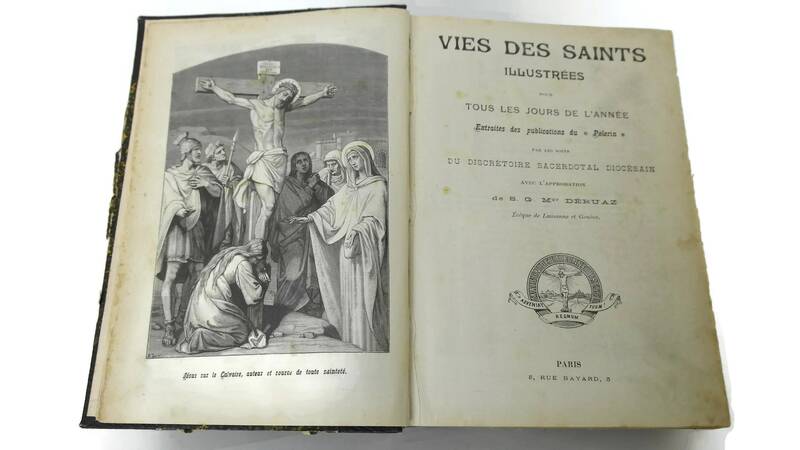 The antique lives of the saints book is in good condition with some signs of age including marks and wear to the cover. 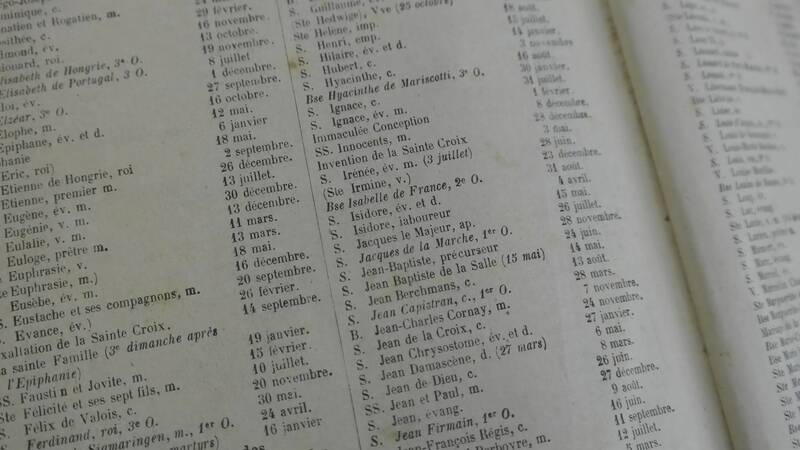 All pages are intact and have foxing and age spots to the paper in places.